Last year's winner at the Cheltenham festival in the Close Brothers Novices' Handicap Chase (Listed) contest, Mister Whitaker for dual trainer Mick Channon will be heading to the four day meeting again in search of back to back wins at the festival. The seven year old owned by Tim Radford has plenty of options in terms of what races to be entered for at Cheltenham with the Gold Cup and the Ryanair Chase in the mix. The Gelding is looking to have a preparation run on Saturday at Ascot in the bet365 Handicap Chase where he is a 7/1 second favourite and this will come together with his previous runs this season. He made seasonal debut at Carlisle in a Listed contest which he went on to win well. 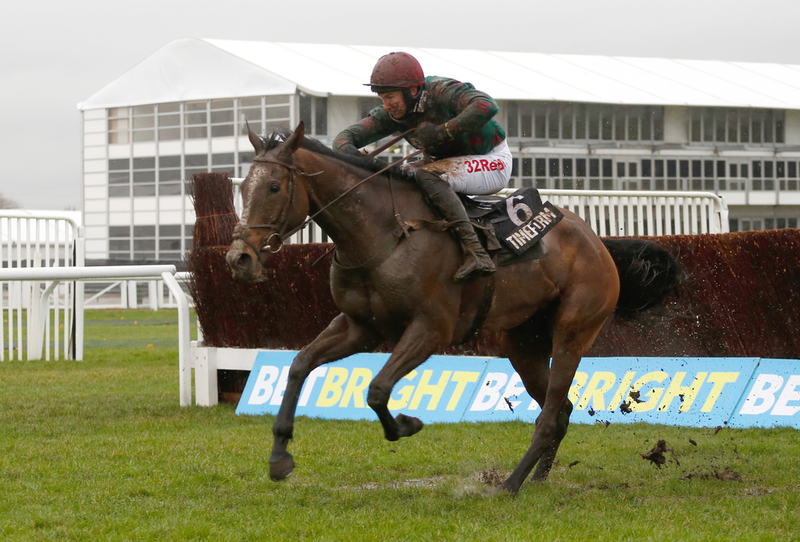 From there he went back to Cheltenham and finished staying on fourth in the Grade 3 BetVictor Gold Cup in November. This run at Ascot could be perfect preparation for his tough exploits he could have at the festival where he is currently 66/1 for the Magners Gold Cup and 33/1 to take the Ryanair Chase. (Credit Racing Post) Jack Channon son of trainer Mick said:“The Ryanair has always been the aim but he'll be entered in the Gold Cup and handicaps too, and we'll see how he fares on his next start. “We massively feel there's more to come. He's a fair price at 33-1 for the Ryanair and could be an awful lot shorter after one of the next two weekends if all goes well. Channon added: “We were very happy with his BetVictor Gold Cup run as the ground was a bit quick for him. As long as it's good or good to soft we'd have no concerns.